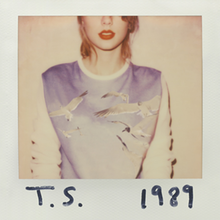 1989 is the fifth studio album by American singer-songwriter Taylor Swift, released on October 27, 2014 through Big Machine Records. Swift started songwriting for the album in mid-2013, during which she was touring in support of her fourth studio release Red (2012). Contemporary critics noted Red's mild departure from Swift's characteristic country sound and incorporation of straightforward pop production, a result of Swift's collaborations with Swedish producers Max Martin and Shellback. For Red's follow-up, the singer completely forsook country and was inspired by 1980s synth-pop. 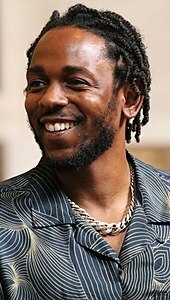 The majority of the album was produced by Martin and Shellback, and the former and Swift served as executive producers. Recording sessions finalized in mid-2014, when Swift had finished her world tour in support of Red. Titled after Swift's birth year, 1989 is a synth-pop record that utilizes heavy synthesizers, programmed percussion, and processed background vocals, effectively eschewing Swift's signature country sound. The lyrics address wistful perspectives on past romantic relationships and therefrom express self-discovery. The album received generally positive reviews from music critics; the pop production polarized reviewers, but Swift's evolved songwriting garnered mostly favorable responses. 1989 won Album of the Year at the 58th Grammy Awards, making Swift the first female solo artist to win the category twice. Taylor Swift released her fourth studio album Red in October 2012 to commercial success; the album debuted atop the US Billboard 200 with first-week sales of 1.2 million copies. Contemporary publications noted the album's mild departure from Swift's signature country sound of previous releases and incorporation of straightforward pop hooks and new genres including electronic and dubstep, as showcased on Swift's three collaborations with renowned Swedish pop producers Max Martin and Shellback—"22", "I Knew You Were Trouble" and "We Are Never Ever Getting Back Together". The album's associated world tour ran from March 2013 to June 2014 and grossed over $150 million. Swift had been dubbed by the media as "America's Sweetheart" for her wholesome public image. During this time, however, her reputation was suffering from what The New York Times called "a backlash" resulting from her overexposed romantic relationships with high-profile celebrities. Swift opted against discussing her personal life in public, as she believes that talking about it can be a "career weakness". In June 2013, Swift was part of the line-up for the CMA Music Festival. At the festival's backstage, Swift told reporters that she was ready to work on the next album, less than eight months after the release of Red. Four months later, she released the single "Sweeter than Fiction" for the soundtrack to the movie One Chance. The single was co-written by Swift and Jack Antonoff, the guitarist for indie band Fun, and incorporates elements of 1980s new wave. In May 2014, Swift relocated to New York City. She confessed that she had been "intimidated" by the city, but ultimately began to love it. 1989 received generally positive reviews. At Metacritic, which assigns a normalized rating out of 100 based on reviews from mainstream publications, the album received an average score of 76 based on 29 sources. On behalf of NME, Matthew Horton considered Swift's transition to pop "a success". The New York Times critic Jon Caramanica complimented Swift's avoidance of contemporary hip hop/R&B crossover trends, which upgraded the singer to "a mode of timelessness". Writing for Rolling Stone, Rob Sheffield remarked that the album, despite eschewing Swift's trademark country styles, "sounds exactly like Taylor Swift" for its overproduction regardless of Swift's musical direction. He then favorably characterized the record as "deeply weird, feverishly emotional, wildly enthusiastic". The A.V. Club's Marah Eakin praised Swift's evolved maturity from overtly romantic struggles to more positive themes. This page was last edited on 25 April 2019, at 09:59 (UTC).